Gold Standard MCAT has designed the following free MCAT sample questions based on our research and assessment of the exam. The purpose of the following questions is to give you a taste of the degree of reasoning required for the exam, though some basic knowledge is expected. 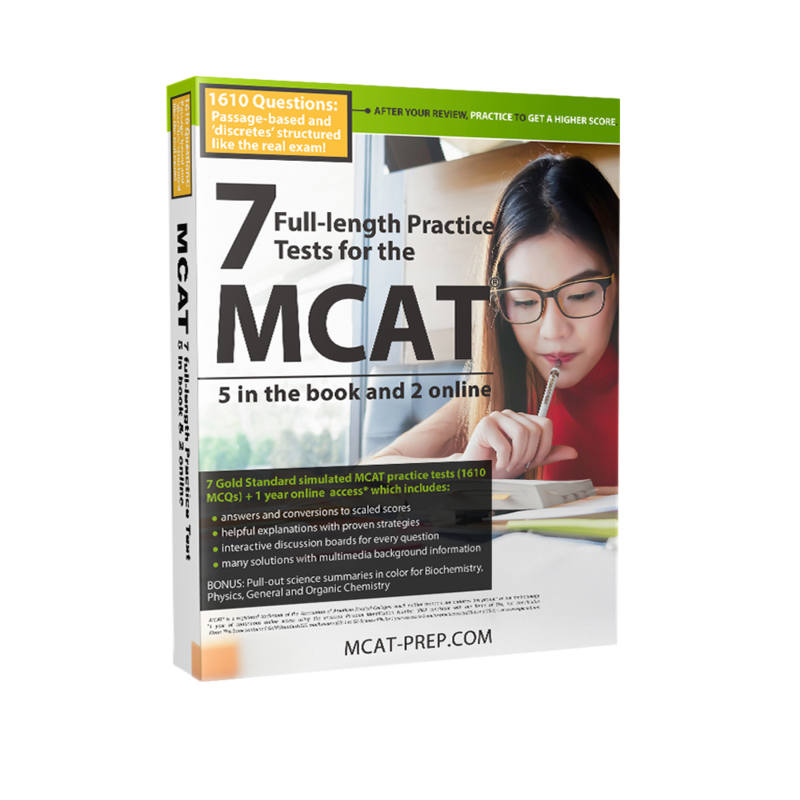 However, it is not the purpose of these free MCAT practice questions to serve as exposure to the timing or formatting of the exam. The latter is best reserved for full-length MCAT practice tests. Several of the MCAT sample questions below are included in our Gold Standard free online MCAT practice test with 78 questions, answers with helpful explanations, and estimated scaled scores covering all 4 new MCAT sections. Good luck! Apoptosis is the process of programmed cell death that can occur in multicellular organisms. The proteins involved in apoptosis are associated with pathways for cell cycle arrest and DNA repair. These processes are mostly regulated through the interplay of various proteins involved in feedback loops including some of the ones shown in Figure 1. B. high cyclin G concentrations. C. a mutation in the gene that produces PTEN. Degradation of p21 implies that the concentration of p21 in its active form goes down. The diagram shows that p21 has a negative influence on CDK2. In other words, when p21 is high, CDK2 goes low. But in our instance, p21 is low (degraded) so this allows CDK2 to rise unchecked. High cyclin G concentrations: From the bottom of Figure 1, we can see that high cyclin G leads to high mdm2 and low p53 (notice carefully, when we leave mdm2, there is only one place to go in the diagram because all the other symbols are pointing to mdm2 and only one symbol is pointing away). Note that we used the most direct route to get to CDK2 as the question used the words “most reasonably”. Low p53 means low p21 which we established will lead to a rise in CDK2. A mutation in the gene that produces PTEN: The great majority of mutations will result in an ineffective gene product or none at all. Thus we have a decrease in PTEN which will lead to a rise in PIP3 (if you are unsure, think of what happens if PTEN goes up, then PIP3 must go down because of the negative feedback symbol), rise in AKT, rise in mdm2, decrease in p53 which we already established means an eventual rise in CDK2. High p53 concentrations: clearly we get the opposite of the above, meaning a decrease in CDK2. High p53 stimulates p21 which has a negative feedback on CDK2. The red bread mold Neurospora crassa grows well on a cultural plate with "minimal" medium which is a fluid containing only a few simple sugars, inorganic salts, and vitamin. Neurospora that grows normally in nature (wild type) has enzymes that convert these simple substances into the amino acids necessary for growth. Mutating any one of the genes that makes an enzyme can produce a Neurospora strain that cannot grow on minimal medium. The mutant would only grow if the enzyme product were to be added as a supplement. On the other hand, if a "complete" medium is provided, containing all required amino acids, then Neurospora would grow, with or without mutation. Figure 1: A synthesis pathway for the amino acid arginine. Each gene in italics in the diagram produces one enzyme necessary for the synthesis of this essential amino acid required for growth. Table 1: Growth response of mutant strains in “minimal” media with supplements as indicated. Growth is indicated by (+), and no growth is indicated by (-). D. None of the above enzymes are defective in either mutant strain P nor Q. You should recognize that enzymes typically end with –ase and so you can see that the figure provided indicates the 3 enzymes that are catalysts for the three reactions as shown. Now let’s reinterpret the question: if neither P nor Q have a defective enzyme X, that suggests that both P and Q have a functioning enzyme X (the other interpretation is that they have no enzyme but that is not consistent with the data in the table provided). The information in the table shows a (+) symbol in the last two columns indicating that both P and Q are able to convert argininosuccinate to arginine (see Table 1). This necessarily means that both P and Q have a functioning enzyme argininosuccinase (see Figure 1). Going Deeper: More about the 1 gene, 1 enzyme hypothesis and the importance within a metabolic pathway. Let’s consider some hypothetic examples using Figure 1 but no longer considering Table 1 so we can explore other possibilities and their consequences. For example, let’s say that Mutant# 1 couldn't make ornithine. So, the gene that makes the enzyme for ornithine synthesis must have been mutated. If ornithine is added to the media, citrulline and then arginine would be made and Mutant# 1 could grow. Similarly, consider a genetic mutation in Mutant# 2 affecting the enzyme that makes the arginine precursor citrulline. Adding citrulline as a supplement complements the mutation and drives arginine synthesis to completion. And consider a genetic mutation #3 affecting the final step of arginine synthesis — the conversion of citrulline to arginine. By adding arginine as a supplement, the mutation is complemented (like a ‘work around’) and Mutant# 3 could grow. With each mutated gene, only one step of the metabolic pathway is affected. Therefore, one gene is responsible for one enzyme or protein (of course, it’s a little more complicated because some genes are responsible for polypeptides which combine with other polypeptides to form a functioning protein). Experiments using the two mutant strains P and Q, reveal that strain P accumulates citrulline, but strain Q does not. Which of the following statements is most consistent with the data provided? A. Strain Q has only one mutation. B. Strain P has a mutation in argF only. C. Strain P has mutations in argF, argG and argH. D. Strain P has a mutation in argG only. On the Surface: In the previous question, we established that the enzyme argininosuccinase must be functional for both strains and that means that argH is not defective (no mutation) for either P or Q. Thus any answer choice suggesting an argH mutation is incorrect. Strain P accumulates citrulline. This means that the synthetic pathway was working up to citrulline but then was blocked from progressing. This means that the next step in the production line, the gene product from argG, is not functional (mutation). Thus we have our answer. Going Deeper: Strain Q: no accumulation of citrulline means that there must be a blockage before that point, so given the information presented, argF must have a mutation meaning ornithine accumulates. Adding ornithine: no growth and it accumulates. Adding citrulline, no growth because there must ALSO be an argG mutation. This is consistent with adding something after the argG step/mutation, argininosuccinate, resulting in growth. Thus strain Q has must have 2 mutations in the synthesis pathway shown. The human kidney can be damaged from a number of causes resulting in a patient’s inability to filter toxins (i.e. urea) from the body which could result in death. Complete kidney failure is usually first treated with dialysis which “cleans” the blood. Considering the information provided, which of the following is NOT consistent with the process of dialysis? A. The membrane in the dialyzer separating the dialysate and the blood must be semipermeable. B. The concentration of toxins in the dialysate must increase during dialysis. C. The concentration of glucose and vital minerals in the dialysate must be similar to that of the patient’s blood. D. Excessive minerals and toxins cross the membrane in the dialyzer by osmosis. On the Surface: Dialysis only refers to the transfer of the solute (diffusion), while the transfer of the solvent is called osmosis. Going Deeper: Diffusion is the movement of a substance down its concentration gradient (from a region of high concentration to one of lower concentration). This is the process that must be occurring in the dialyser to remove toxins from the blood (because the dialysate, logically, would have no toxins so the toxins defuse out of the blood into the dialysate). Note that vital substances in the blood should be kept in the blood: options would include having a dialysate with the same concentration of those substances (so they don’t diffuse out of the blood) or by adjusting the permeability of the membrane. Osmosis is the movement of a solvent across a semi-permeable membrane from a region of low solute concentration to a region of high solute concentration. In Biology and Biochemistry, that solvent is, of course, water. In this context, the easier way to imagine osmosis is that it is simply the diffusion of water across a semi-permeable membrane from a region of high water concentration (i.e. low solute concentration) to a region of low water concentration (i.e. high solute concentration). So in summary, osmosis deals with how much water passes through the membrane, while dialysis deals with what type of solute (i.e., sodium, protein, glucose) passes through by simple diffusion. N.B. Notice the link between diffusion and osmosis and the Second Law of Thermodynamics (Physics). All spontaneous change leads to an increase in the entropy (randomness) of the universe. Of course, biological systems exist because processes which increase entropy can be coupled with processes which increase order, as long as the overall (net) entropy of the universe increases. Protein phosphorylation is an important regulation of protein activity and function. Upon phosphorylation, a phosphate moiety is covalently attached to a hydroxyl (-OH) group of any of the three amino acids: Tyrosine (Y), Threonine (T) or Serine (S), which are the only 3 amino acids with a side chain containing hydroxyl. Keep in mind that all amino acids between the first and last in a polypeptide or protein, have both their carboxyl and amino ends involved in peptide bonding, so we must assess the side chain. When a phosphate group is added, a conformational change often occurs within the protein domain. Such conformational change would allow the protein binding its partners and also phosphorylating them to promote a further propagation of protein activation along a signaling pathway. In the mutants suggested in answer choices A, B and D, a partial phosphorylation could still be taking place within the catalytic domain, which could have rendered a partially active Map kinase. However, in the mutant G183A185 (i.e. glycine - G - at position 183 in the primary structure and alanine - A - at position 185) suggested in answer choice C, no phosphorylation is possible within its catalytic domain due to the absence of the hydroxyl functional group, therefore this mutant would be ‘kinase dead’. Going Deeper: Glycine and alanine are the most commonly used amino acids for substitutions when mutating protein active sites since these amino acids are neutral and relatively small as compared to others. Background: The new MCAT requires knowledge of the side chains of amino acids, their features, as well as the 3-letter and 1-letter representations. The following image represents the 20 standard amino acids at physiological pH with the 9 essential amino acids identified with a red asterisk. A. The symbolic value of coffee is that the drinking ritual is more important than the drink itself. B. Coffee is a stimulant drug. C. Coffee is the second most valuable commodity in international trade. D. Coffee is a branded and politicized consumption good. A is correct. Symbolic interactionists observe how people relate to things based on the meanings those things have for them. These meanings are created through social interaction and can be interpreted differently. For instance, people can meet to ‘have a coffee’ but are not obliged to actually consume the drink. They can have a tea and still enjoy the shared meaning of comfort and spending time with their friends which is related to the idea of ‘having a coffee’. B is incorrect. The claim that coffee is a stimulant drug is true but a social interactionist perspective would not look at the fact itself but ask what the underlying shared meanings are. This theory would look at what makes it acceptable to consume a particular type of stimulant drugs in certain settings and under certain circumstances. C is incorrect. This is not of primary concern for social interactionism theory. A Marxist perspective would ask about the nature of coffee as commodity and how the global supply chain affects workers and economies worldwide. D is incorrect. This is not of primary concern for social interactionism theory. This would be of interest to theories about consumption and lifestyle. C. John Bowlby’s attachment theory. D. Milton Gordon’s assimilation theory. A is correct. Ecological theory maintains that human behavior (in this case, health) is influenced by multiple levels including the individual (e.g., the patient’s beliefs, personality, past experiences, etc. ), the family, community, neighborhood, workplace, school, etc. and institutions, for example other organizations such as medical, social service, legal institutions, etc. and finally, culture, tradition, and existing governmental laws. Human behavior does not operate within a vacuum. B. This is incorrect. Family systems theory argues that behaviors must be understood within the family system context. It is important to understand the family functions, roles, boundaries, and communication patterns. Therefore, health behavior must take into account the family. C. This is incorrect. Attachment theory emphasizes that behavior stems from the emotional attachments between infant and parents/caregivers. D. This is incorrect. Assimilation theory is used in sociology to understand how immigrants adopt the cultural norms of the new host country. 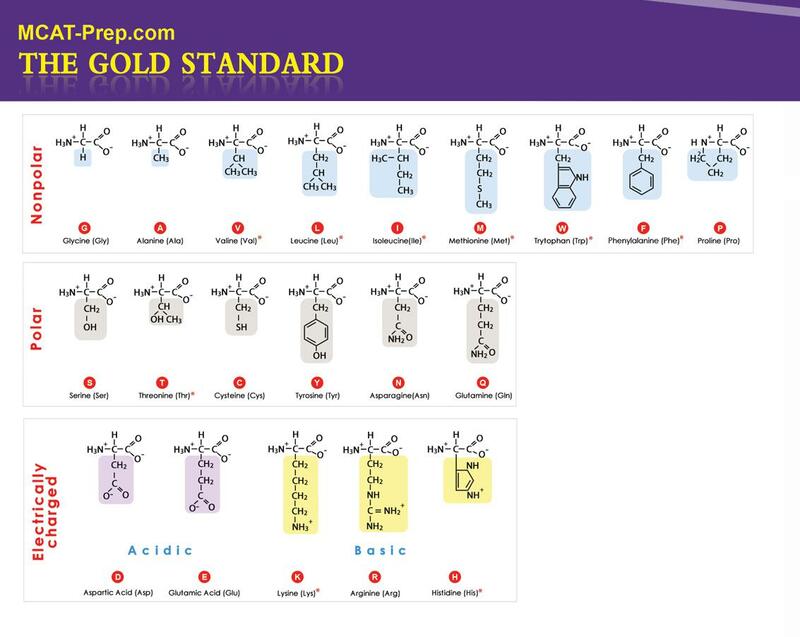 The Gold Standard MCAT Complete Package.